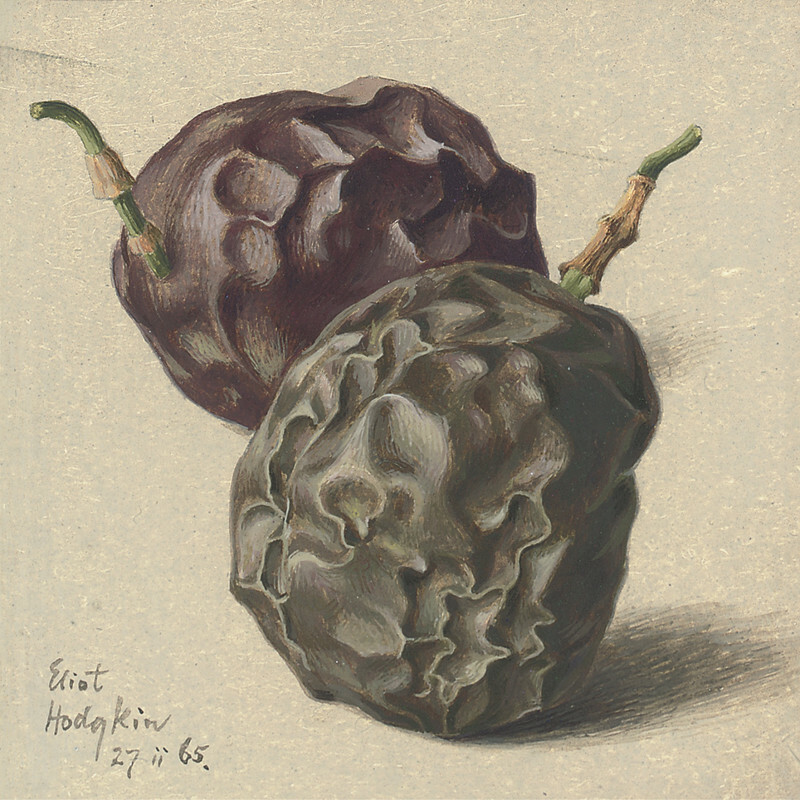 Eliot Hodgkin once said he sought to show things 'exactly as they are yet with some of their mystery and poetry, and as though seen for the first time.' How true this is of 'Two Passion Fruit' which is a fine example of the stylised technique Hodgkin is known for. By isolating his subjects, with little or no background, he allowed total concentration on the subject. Other than painting many scenes of the home front during WWII, Hodgkin remained independent of artistic movements during his career and never changed his style, perfecting the use of egg tempura and intricate still life painting.